Whether we like it or not, computers are here to stay, and if your children do not learn how to use this technology at a young age and use it well, they are going to get left far behind. However, finding the best tablets for kids is about more than just introducing them to computer technology. It is about finding those tablets that can help your small child learn the basics of reading and math, as well as the basics of using a computer and just playing fun games. If you are like most parents, you also want your kids to have a tablet that protects them from the dangers that lurk on the internet, so having control over the content that is available to your child is also important to many people. You are going to want a tablet that is durable, reliable, and made for the small hands of children. Because tablet computers are so expensive, and choosing the best tablet for your child is extremely important, the pros and cons of each tablet will be separately listed, so as a parent, you know exactly what to expect from each table under review. LeapFrog is a manufacturer and designer of technology based learning games and educational products designed especially with younger children in mind. The company has built a good reputation on manufacturing products that aid in your child’s motor skills and learning development, and the LeapFrog LeapPad 2 Explorer Kids Learning Tablet is just one of the many products this company offers. The LeapFrog 2 Explorer is designed for pre-school and young school aid children, and comes pre-programmed with some learning apps all ready to go. Spelling and math sets children are given in school can be incorporated into some of the LeapPad games to help promote better learning of direct school work! The LeapFrog LeapPad 2 is an excellent all around tablet to help your child learn. There are plenty of features that allows your child to learn a few computer basics, which in this rapidly technological developing world is important. Your child can learn a little bit about digital photography, as well as creating their own videos. In addition, the LeapPad 2 not only allows younger children to learn the alphabet, numbers, shapes and colors, but it also allows them to trace letters etc., helping to develop their fine motor skills. And while new apps for the LeapPad 2 are somewhat expensive, there are a wide variety of choices which allow your child to use this tablet for several years and continue learning. Best of all, there is no enabled WiFi connectivity, so you never have to worry about your child getting onto internet sites that could put them in jeopardy. The reviews for the LeapPad 2 Explorer are excellent, with the majority of customers stating that they were delighted with this tablet. Parents do say that purchasing the adapter is well worth the money. Overall, this tablet for kids has some really good features and might be worth considering for your child. Vtech has long been the largest manufacturer of cordless phones, but in more recent years, has earned a fine reputation as a leader in technological driven learning toys for children. The Vtech InnoTab 3S is a learning tablet designed especially for younger children. The Vtech InnoTab 3S is a kid’s tablet computer that is designed to provide children with a fun learning experience over a large range of subject matters. Kid connect communication app allows you and your child to have secure communication between the tablet and parents cell phone. They can also have tablet to tablet communications with their friends. The Vtech 3S tablet seems to offer a wide range of learning for younger children, from basic computer skills, including some web surfing, to the development of fine motor skills, to actual learning applications in spelling, reading, math, science and much more. The downloadable Learning Lodge software offers a wide range of learning games and activities for 3 to 9 years olds, making this tablet one that your child will be able to use for several years. Reviews for the Vtech 3S are quite good, with there being far more positives about this tablet than negatives. All in all, the majority of customers were quite please with the Vtech 3S tablet for kids and felt their child got value from it. VINCI is a creator of learning tools for young children ages 1-6. VINCI learning tablets use the VINCI curriculum, which is a step by step learning structure comprised of age specific learning apps, to help children acquire the basic learning skills necessary to be successful once they enter formal schooling. The VINCI Tab 7” Touch Screen Learning Tablet helps children to learn basic educational and technological skills. First impressions of the VINCI 7” touch screen learning tablet were great. The rubberized handle that goes completely around the tablet looks as though it would help protect the tablet and give little hands something they can grip tightly. The idea of having a great learning curriculum for children was also impressive. However, after reading the reviews scattered across the internet, it seems clear that while this tablet has huge potential, the way it is currently designed and set up, it may have more problematic than most parents want to deal with. Reviews for the VINCI 7” touch screen learning tablet are fair at best, and many review sites give this kid’s tablet less than average reviews. None of the VINCI Curriculum comes preloaded on the tablet, all get you get is demos. To purchase the apps separately is really expensive, putting this tablet with the right apps to encourage learning, way out of the average families budgetary reach. With mixed reactions from customers regarding the VINCI tablet for kids, you need to be sure that this is the right tablet for your child before making a final decision. KD Planet products are designed with the help of early childhood professionals and are designed to make learning fun. The Kidz Delight Smithsonian Dino Tablet is a learning tablet that will be a huge hit with kids who love dinosaurs. This little kids tablet has very limited function, providing only information about dinosaurs for young children interested in these prehistoric creatures. However, it will teach your child some computer basics, and the price of this tablet is cheaper than purchasing many other dinosaur games. There are only a handful of reviews for this Dino tablet, but the parents stated that their children loved this tablet and found it very entertaining. All in all, customers who bought this Dino tablet were more than happy with it, and found that their children really engaged with it and loved it. Fisher Price have been a part of childhood play for several generations and have earned a reputation for well manufactured toys that children seem to love. The Fisher Price Fun 2 Learn Smart Tablet is a learning tablet designed especially for young children. The Fun 2 Learn Smart Tablet is a toy tablet computer designed to help children with some early learning skills. This Fisher Price Fun 2 Learn Smart Tablet is a durable first learning tablet computer for extremely small children. While it lacks most of the functions of a dedicated tablet, it has plenty to offer for an extremely small price, making it affordable for most families with small children. Reviews for this Fun 2 Learn Smart tablet are pretty positive, with parents of small children liking the fact that this tablet keeps their young children off more expensive tablet computers, while offering them some basic learning experiences. Most customers seem to really like this smart tablet and found their kids really loved it too. 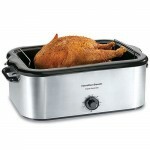 Amazon is a large marketplace and a manufacturer of several technological products as well as software. The Kindle Fire 7” Tablet Now In HD is a lower end Kindle Fire tablet computer, designed for people who simply don’t need all the bells and whistles of the more expensive Kindle Fires. While the All New Kindle Fire 7” Tablet is not designed specifically for children, it does include a variety of features that may make it a good choice for parents looking for a good tablet for their children. Parental controls allows parents to control just what their child has access too. This Kindle Fire is reasonably priced, making this tablet suitable for children of various ages as well as adults. The easy to use parental controls help parents limit what internet sites their child is able to access, while giving children access to free ebooks and even games. While the reviews for this tablet computer only score slightly over average ratings across the internet. This may be due in part to the fact that most of the adult customers are looking for all the same features on this budget Kindle Fire that the higher end Fire’s have, as most of the complaints are directed towards the lack of features, rather than problems with the way this tablet functions. Some customers found that the Kindle Fire 7″ tablet was perfect for their kids, but this is really down to a personal choice and what you feel comfortable with. NORIA JR 8GB 7” Tablet Android Jellybean 4.1 Dual Camera HDMI 3G Capable Dual Core 1.2 GHz (Yellow) By Google Chrome Inc. Founded in 1998, Google has become a giant in the internet business, so what could be better than developing their own tablet computer. The NORIA JR 7” Tablet Android Jellybean is a product of Google chrome incorporated. The NORIA JR 8GB JR is an affordable tablet, though parents considering purchasing this for their child should be aware that it does have WiFi and offers no parental controls, which may be of real concern, especially for parents of young children. There are only a handful of reviews for this tablet, but it does get some positive reviews. A lot of customers were more than happy with this tablet and found it to be perfect for their kids. The Kid Gamer 10” Touch Screen Educational Tablet For Pre-Schoolers and beyond is offered by a company called MidPad. While this company may not be well known, this children’s tablet seems to have everything you would want or need in an early children’s tablet. The parental controls for the apps and the internet is an important feature in this day and age. 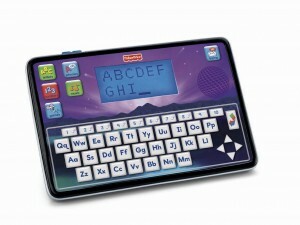 Children will also learn a lot about the basics of computer technology with this computer tablet. There are very few reviews for the Kid Gamer 10” Touch Screen Educational Tablet for pre-schoolers and beyond, but the few that are available are exceptionally good. Parents stated that their children loved this tablet, and it contains a lot of excellent learning games that are really engaging. Improv Electronics opened its doors in 1993 as part of Kent Displays (a joint venture between Kent State University and Manning Ventures). Kent Displays is a leader in the research and development of LCDs, and the Boogie Board 8.5 LCD Writing Tablet is one of this company’s most popular inventions. The Boogie Board 8.5 is not a tablet computer in the way most people think of a tablet computer. 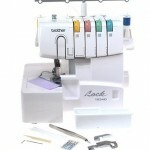 Instead it is more of an electronic writing and drawing board or table. The Boogie Board tablet won’t teach your child the alphabet or their shapes and numbers, but it will help them practice making them, and helping to develop their fine motor and pencil skills. It also inspires creativity and imagination. One of the great things about a Boogie Board is that it has so many different uses. Reviews for the Boogie Board tablet are very positive, with customers finding a number of uses for this simple electronic tablet. Customers do recommend that you buy the neoprene sleeve to protect your Boogie Board tablet when carrying it. The majority of customers were really pleased with the Boogie Board tablet and found that they child benefited from using it. AGPtek was founded in 2001 and is a manufacturer of laptop batteries. 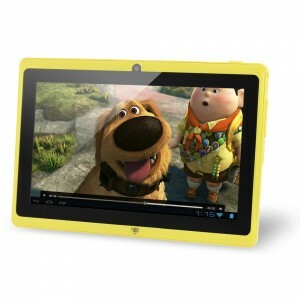 Their AGPtek Kids 7” 4GB Android 4.1 Tablet With Protective Case is an extension of this company’s product line. It would have been nice to know the age range of child that this tablet is designed for. Going just on the description, it appears to be designed mainly for preschoolers. It is a plus that the AGPteck Kids 7” tablet is ready to go right out of the box. Unfortunately, there are absolutely no reviews for this specific tablet that could be found at present. However, reviews for the adult version of the AGPtek tablet run between average and good. In most cases, tablets for children are far from inexpensive, making it essential that parents find the best kid’s tablet available in terms of function, safety, fun and price. Hopefully this review will help to make that decision a bit easier.